Masaki-san and I spent the morning listening to Japanese music. I got to hear some Japanese classics and his favourite music. Here are youtube clips of two of my favourite Japanese songs. The first one is called Linda Linda, by Blue Hearts. Its apparently a Karaoke favourite. Be patient for the chorus when you listen to it. If you’re in a hurry, skip to 0:47. That’s the best part! The second one is called Nijiro, by Ayaka. Start listening at 0:40. 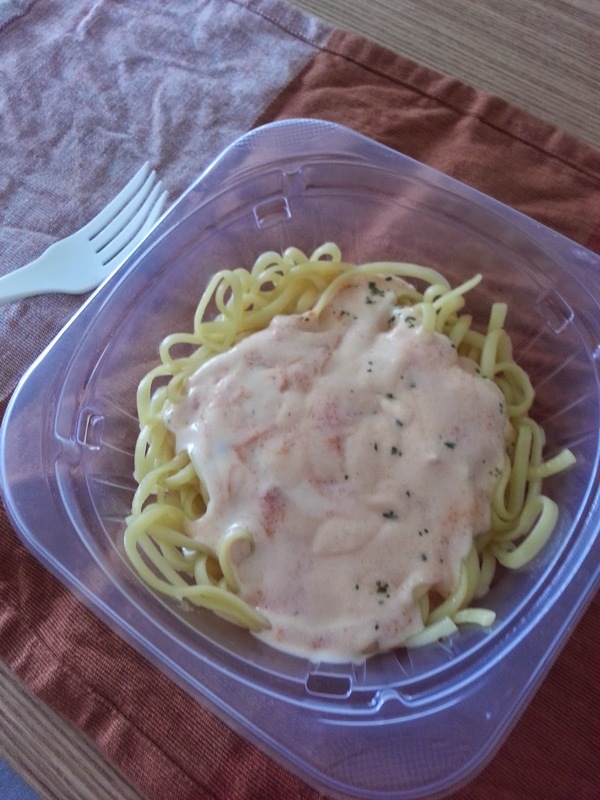 Japanese pasta once again: food in plastic has never tasted so good! Since Kaori-san wasn’t at home, and neither Masaki-san nor I can cook anything edible, we walked to a nearby 7/11 to pick up some delicious konbini food. On the way there, I saw many open spaces and stand alone houses. On asking what they were, I was told that they are farm lands. It was surprising to see farming so close to Tokyo. Masaki-san said that these were farms that had existed before Tokyo started getting populated. Since my host family’s house is in a suburb, which is officially in another prefecture (called Saitama), the farm land remains operational. I learnt that the property prices had been increasing ever since Tokyo’s suburbs came up in Saitama and many farming families have been renting or selling their houses to people who work in Tokyo and want to live in a suburb. My host parents sometimes go to the farmer’s market there on weekends to buy fresh vegetables, which happen to be cheaper. Kaori-san later told me that many of the vegetables being sold still have soil on them! In the afternoon, the weather seemed kind. So I decided to spend the second half of my day at Disneyland. I didn’t really want to go, but I felt the need to check it off my list. At first I was a bit bored, since I was by myself and I didn’t want to spend an hour in line for rides alone. But soon, it started raining and getting dark, so the lines got significantly shorter. Suddenly, it felt like a great decision on my part to have come to Disney! I also watched some music and dance shows, which were of Disney characters but in Japanese. Not being able to understand the words made me realize how much I underestimate the value of words and lyrics when listening to music. Enjoying Disneyland all by myself! Many of the workers at Disney didn’t speak English and the instructions they gave before or after rides were incomprehensible to me. I had to concentrate on their gestures and facial expressions to understand what they were saying. The rides were amazing as always. Being alone gave me the opportunity to observe them with greater detail. The timing of sounds and effects are impeccable. The rides successfully attempt to give each person on the ride a personalized experience wherein everyone receives the same impact no matter where you’re sitting. 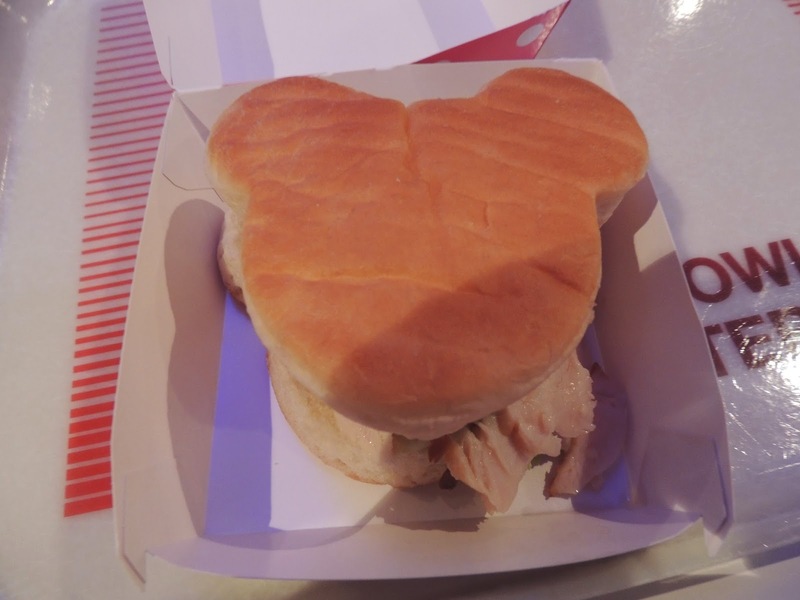 A mickey shaped chicken deli sandwich at Tomorrow Land. Even though Disney food is expensive, the quality of it is amazing for mass produced fast food. This was my fourth disneyland, after California, Florida and Kong Kong. 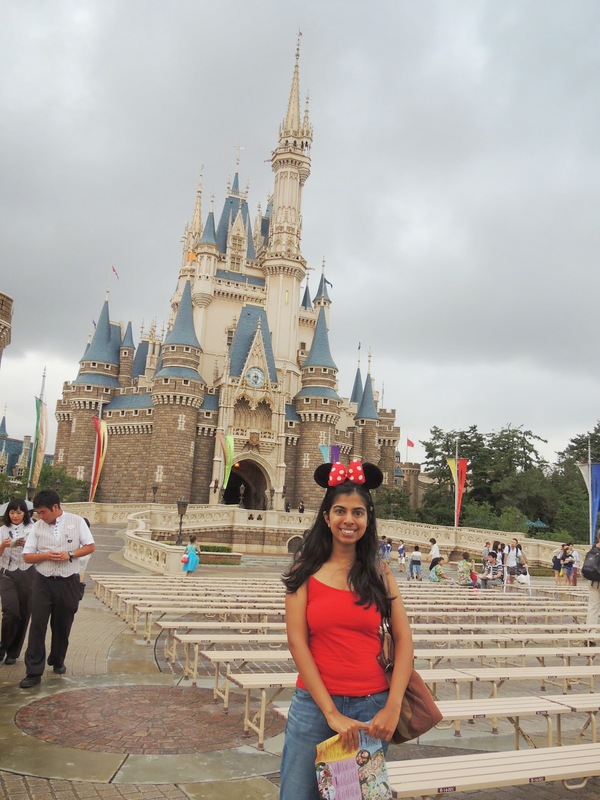 Hope to visit Shanghai and Paris disney soon! « Day 28 continued: Wearing a Yukata!